Anise seeds have a distinctive aroma that is a combination of sweet-spicy, pure and licorice-like scent. Since the ancient era, it has been widely used as traditional medicine and food ingredient. The Romans unveiled the use of Anise to the European continent and it eventually reached North America. Anise oil can be mixed with orange, rose, pine, black pepper, bay, and ginger for a more beneficial blend. Learn more about Anise Essential Oil or find a great deal on the best selling Anise Oil from the items below! 100% Pure Therapeutic Grade Aniseed 10ml Essential Oil Botanical Name: Pimpinella anisum Comes in 10ml amber glass essential oil bottle. European Dropper Cap included Aniseed Essential Oil has a sweet aroma similar to black licorice. What sets Healing Solutions Essential Oils apart is superior cultivation of ingredients that are the best in the world. Combined with superior distillation and bottling care process, We GUARANTEE that our oils are aromatically superior and more effective than any other oils - if you disagree we will refund your money! The Leading Aromatherapy Associations (Alliance of International Aromatherapists (AIA), International Aromatherapy and Aromatic Medicine Association, Aromatherapy Trade Council, and others) all state that essential oils should not be taken internally (regardless of purity or organic origin) unless under the guidance of a health care practitioner trained at an appropriate level . As such, all of our oils carry a label warning that the product is NOT FOR INTERNAL USE. 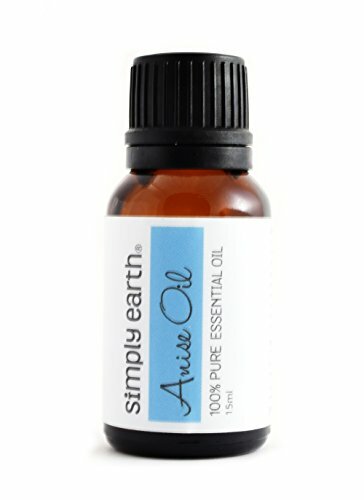 Silky Scents EO155-10ML Anise Star Essential Oil 100 Percent Pure Therapeutic Grade - 10 ml. The essential oil resides in the pericarp not in the seed. Spicy warm licorice-like aroma like anise seed but slightly stronger. Fishermen use it to mask human scent while fishing. Well known for its effect on the digestive system. May have a good effect on asthma and breathing difficulties. Anise has estrogen-like properties is an emmenagogue aids childbirth increases milk secretion and is antispasmodic for nerves and muscles. Blends well with: Blends well with Fennel Sweet Petitgrain and Rosewood (Indian). History: Star Anise is so named from the stellate form of its fruit. The Japanese plant the tree in their temples and on tombs; and use the pounded bark as incense. The homeopaths prepare a tincture from the seeds. 100% Pure Therapeutic Grade Capacity - 10 ml. This Anise Essential oil is among the purest and highest of quality oils having been crafted in a process that draws the oil directly from Anise. This makes our Anise Essential Oil a powerful wholly authentic oil that will easily lend its fragrant aroma in which it is diffused or be used as an anointing oil for your ritual tools adding the imbued qualities of Anise to your magick. This makes it particularly potent when you are working a spell that has to do with protection or purification with Anise being a great aid in these kinds of magick. It is also quite potent when added to divination magick particularly when you are seeking clairvoyance or other such qualities within your seeking. This is a 2 dram bottle of pure essential oil for external use only. The essential oil resides in the pericarp, not in the seed. Spicy, warm, licorice-like aroma like anise seed, but slightly stronger. Fishermen use it to mask human scent while fishing. Well known for its effect on the digestive system. May have a good effect on asthma and breathing difficulties. Anise has estrogen-like properties, is an emmenagogue, aids childbirth, increases milk secretion, and is antispasmodic for nerves and muscles.Blends well with: Blends well with Fennel Sweet, Petitgrain and Rosewood (Indian). 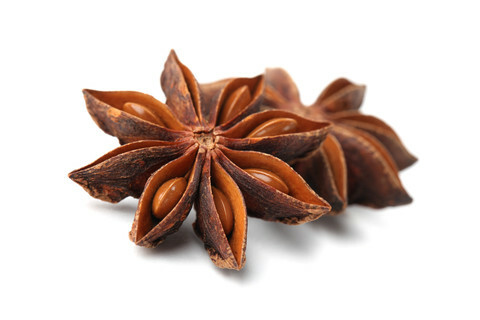 History: Star Anise is so named from the stellate form of its fruit. The Japanese plant the tree in their temples and on tombs; and use the pounded bark as incense. The homoeopaths prepare a tincture from the seeds. 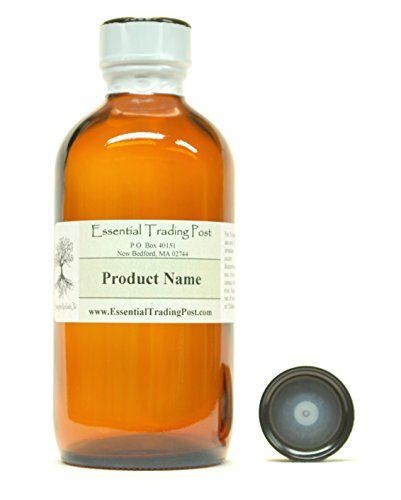 Essential Oil Anise from Nature's Alchemy: These 100% natural essential oils are meticulously extracted from plants by cold pressing or steam distillation using the same techniques developed by the medieval Persian physician Avicenna. All Nature's Alchemy high-quality botanical oils are scientifically tested for purity and contain no chemical solvents added alcohol or other extenders. Ingredients: Illicum verum (anise) oil. Warning: Concentrated. Not for internal use. Keep out of reach of children. Aromatic Description: Spicy, warm, licorice-like aroma. Distinctive scent of licorice. Rich and sweet. Perfumery Note: Top Aromatherapy Properties: (Uses) Bronchitis, colds, coughs, flatulence, flu, muscle aches, rheumatism. May have a good effect on asthma and breathing difficulties. Anise has estrogen-like properties, is an emmenagogue, aids childbirth, increases milk secretion, and is antispasmodic for nerves and muscles. Silky Scents EO155-15ML Anise Star Essential Oil 100 Percent Pure Therapeutic Grade - 15 ml. The essential oil resides in the pericarp not in the seed. Spicy warm licorice-like aroma like anise seed but slightly stronger. Fishermen use it to mask human scent while fishing. Well known for its effect on the digestive system. May have a good effect on asthma and breathing difficulties. Anise has estrogen-like properties is an emmenagogue aids childbirth increases milk secretion and is antispasmodic for nerves and muscles. Blends well with: Blends well with Fennel Sweet Petitgrain and Rosewood (Indian). History: Star Anise is so named from the stellate form of its fruit. The Japanese plant the tree in their temples and on tombs; and use the pounded bark as incense. The homeopaths prepare a tincture from the seeds. 100% Pure Therapeutic Grade Capacity - 15 ml. Silky Scents EO155-1OZ-30ML Anise Star Essential Oil 100 Percent Pure Therapeutic Grade - 30 ml. The essential oil resides in the pericarp not in the seed. Spicy warm licorice-like aroma like anise seed but slightly stronger. Fishermen use it to mask human scent while fishing. Well known for its effect on the digestive system. May have a good effect on asthma and breathing difficulties. Anise has estrogen-like properties is an emmenagogue aids childbirth increases milk secretion and is antispasmodic for nerves and muscles. Blends well with: Blends well with Fennel Sweet Petitgrain and Rosewood (Indian). History: Star Anise is so named from the stellate form of its fruit. The Japanese plant the tree in their temples and on tombs; and use the pounded bark as incense. The homeopaths prepare a tincture from the seeds. 100% Pure Therapeutic Grade Capacity - 30 ml. Aroma: Licorice-like, spicy. Benefits: Uplifting, balancing, comforting. 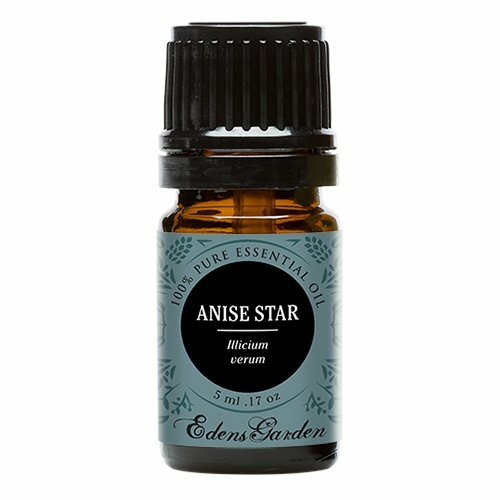 Anise Star Essential Oil. 30 ml (1 oz) 100% Pure, Undiluted, Therapeutic Grade. Botanical Name: Illicium verum Hook Plant Part: Seeds Extraction Method: Steam Distilled Origin: China Color: Colorless to pale yellow liquid. Consistency: Light Note: Top Strength of Aroma: Strong Aromatic Scent: Anise Star has a powerful and licorice-like scent. Cautions: Anise star is generally non-toxic and non-irritating (unlike Illicium anisatum the Japanese variety that is long considered toxic). ANISE STAR OIL(ILLICIUM VERUM)Ingredient Origin - CHINAIngredient Type - ESSENTIAL OILExtraction Method - STEAM DISTILLEDDescription: A small to medium evergreen tree of the magnolia family, reaching up to 8m (26ft). The leaves are lanceolate and the axillary flowers are yellow. The fruits are harvested before they ripen, then sun dried. It is, as the name suggests, star shaped, radiating between five and ten pointed boat-shaped sections, about eight on average. These hard sections are seedpods. Tough skinned and rust colored, they measure up to 3cm (1-1/4") long. The fruit is picked before it can ripen, and dried.Aromatic Scent: Anise Star has a powerful and licorice-like scent.All of our oils are packaged in glass Amber Bottles with air tight Polycone seal Cap closures and are fully labeled. Essential Oils should not be taken internally unless under the guidance of a Health Care Practitioner. All of our oils are labeled (NOT FOR INTERNAL USE). Our oil line has multi-uses from simply scenting your home to making a vast line of products. Very little of our oil is needed to create a long and lasting essence.Cautions: Dilute before use; for external use only. May cause skin irritation in some individuals; a skin test is recommended prior to use. Contact with eyes should be avoided.IMPORTANT: All Essential Trading Post products are for external use only unless otherwise indicated. This information is not intended to diagnose, treat, cure, or prevent any disease, and it should not be used by anyone who is pregnant or under the care of a medical practitioner.